The ARTAS® System gives you the best results possible without an obvious donor scar. Call today to learn more. Hair loss is a problem that affects an estimated 80 million people in the United States. In fact, approximately 35 million men in the U.S. experience hair loss. The most common cause is Androgenetic Alopecia, also known as male pattern hair loss. Here are some more hair loss facts for you to consider. Those affected by hair loss often seek hair restoration treatment in order to combat it. 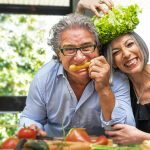 If you are among this group, you too may be searching for a permanent solution to hair loss that will provide you with thick, natural hair that is free of bald spots and areas of thinning. 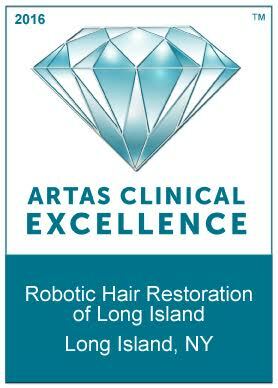 At RHRLI, our expert physician, Dr. Baiju Gohil, uses the ARTAS® System, a highly advanced robotic system that provides minimally invasive hair transplants. We combine this FDA-approved, computer-assisted system with our follicular unit extraction (FUE) techniques in order to achieve optimal results for our patients. With the ARTAS® Procedure, you can finally get your own natural hair back for good! You'll experience fuller and healthier-looking natural hair. The procedure is virtually pain-less, requires no stitches or sutures, and you'll be back to work in just a few days. Call our Long Island robotic hair restoration center today at (516) 605-1545 to find out how we can help you combat hair loss and/or thinning hair. • We use the most advanced technologies in hair transplantation. • We use robotic technology instead of a manual system. • Our procedures do not require surgical incisions and therefore do not leave linear scars. • Our hair transplants are virtually painless. • Our procedures result in fast recovery time. When you come to our office for your consultation, we will show you how you could benefit from the ARTAS® Robotic Hair Transplant. We will also explain how the FUE hair transplant procedure works, what results you can expect to see, the cost of the procedure, and more! We provide service to patients in Manhattan, Brooklyn, Queens, Long Island, and the surrounding areas. How Does ARTAS® Hair Restoration Work? Hair loss conditions such as androgenetic alopecia (male / female pattern hair loss) result in the loss or thinning of hair in specific parts of the scalp, such as the hairline and the crown. 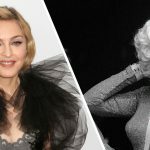 The hair follicles that are in other areas, such as the back and sides of the head, tend to be resistant to these conditions and genetically programmed for optimal growth. In a hair transplant procedure, the physician removes follicular units (hair groupings) from these donor areas and relocates them to the areas where hair has been lost. This hair transplant results in the growth of your own natural hair at the site of your hair loss. 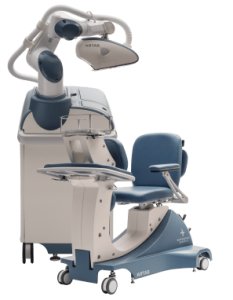 Experience the relief of our permanent solution to hair loss in the ARTAS® System! At the RHRLI, we have a board-certified surgeon who fully focuses on hair restoration, as well as a friendly, experienced, and supportive staff. With our advanced state-of-the-art technology, and our use of robotic FUE hair transplant techniques, we provide our patients with the least intrusive, most effective and convienent method of hair restoration that's available today. We were featured in Newsday and the HIA-LI! Click above for the stories. Learn about the difference between FUT vs FUE hair restoration methods. There’s almost certainly a lot of people reading this who love fast food french fries. 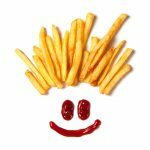 Let’s face it; those crispy yellow fries you can get at the … Read Article about Is There a Cure for Hair Loss in Fast Food French Fries? Get Your Own Natural Hair Back For Good!